Dog bite and dog attack cases can be gruesome. Man’s best friend is one of the best pets in the world, but dogs have the ability to cause serious injury or even death if they bite or attack. Dog owners have a duty to keep their dogs on a leash or in a fence especially if their dog is aggressive, overly protective, or unpredictable. 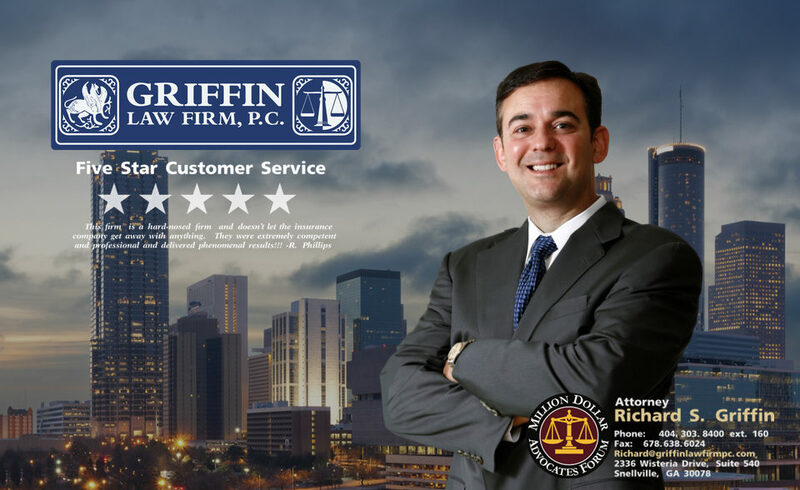 Attorney Richard Griffin and the Griffin Law Firm have the experience you need to win your dog bite personal injury claim if you are the victim of a dog attack. Our Atlanta dog bite attorneys are here to help and can be reached at 877-PAIN-LAW or 877-529-7070. What types of claims can arise from a dog bite or attack? What types of injuries are common from dog bites or attacks? Lacerations and open wounds to the face, hands, arms, legs and other areas of the body. Damages from dog bite claims and injuries total over 1 billion dollars every year. On average there are about 33 dog bite deaths every year in the U.S. The CDC projects that there are about 4.5 million people bitten by dogs every year. Approximately 20% of the dog bite victims require medical attention. There are about 368,000 emergency room treatments to dog bite victims every year. About 31,000 dog bite victims require plastic or reconstructive surgery every year. This equates to about 1,000 per day. It is projected that only about 15,500 dog bite victims receive a settlement from an insurance company for their dog bite case. The average insurance payment on a dog bite case is approximately $22,000. There are over 83 million dogs in the United States. Which dog breeds are usually thought of as more dangerous or aggressive? The following list are the breeds that some label as more aggressive or dangerous. However, clearly how the dog was raised and trained makes a huge difference. Further, all dogs should be properly leashed or fenced as required by local law to keep children and adults safe. Pit Bulls: The CDC found that pit bills account for about 67% of the fatalities that result from dog attacks.